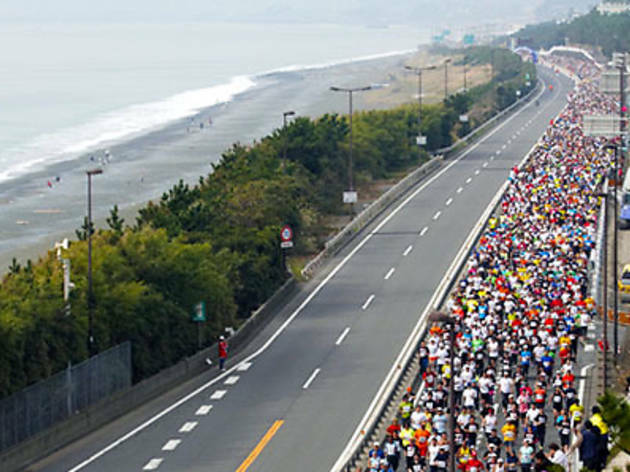 This year's Shonan marathon course runs along the coast of Sagami Bay from Enoshima to Oiso. The events are divided up into the full marathon, the half marathon, and the 10 km run, in addition to the new 'family run'. 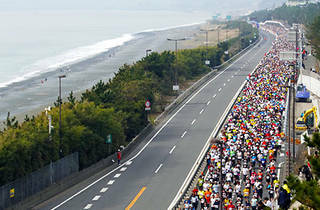 The start point for the full 42 km-course will be the Seisho Bypass at the Oiso West Interchange, and runners will finish the race at the Oiso Prince Hotel.